E-prescribing vendor DrFirst is the first organization to deploy the cloud-based drug knowledge to support the Nebraska Health Information Initiative. First Databank, a drug and medical device knowledge company that aims to help healthcare professionals make more precise decisions, has released its FDB Opioid Risk Management Module, which is designed to reduce the risk of opioid-related overdose and addiction potential. DrFirst is the first First Databank client to deploy the opioid drug knowledge, to support Nebraska's enhanced Prescription Drug Monitoring Program, which, as of January 1, is the first state to require the tracking of all dispensed prescriptions, including those for controlled substances, through the state's PDMP. Nebraska’s effort and the technology come as the nation grapples with an opioid epidemic and other states are deploying new tools to tackle the problem head-on. Earlier this week, Michigan, said that implementing the NarxCare substance use disorder system from Apriss Health, for instance, has helped it both reduce over-prescribing and save $1 million annually. First DataBank’s information module provides a presentation of a daily Morphine Milligram Equivalents calculation to support regulatory compliance, along with an assessment of the potential additive respiratory and central nervous system depression side effects, all within a clinician's workflow. Emerging pain management guidelines leverage MME as an attribute to describe the relative potency of medications that span different opiate ingredients. Awareness of the prevalence of addiction risk, overdose and accidental death associated with opioid use has peaked in recent years as practitioners and regulatory authorities grapple with the opioid epidemic. Opioid treatment guidelines, prescription drug monitoring programs, regulatory-based prescribing limits, payer-based claims review, medication therapy management programs, and prior authorization constraints are increasingly being implemented to stem the cycle of abuse, misuse, addiction and overdose. Clinician adherence to prescribing and dispensing restrictions and guidelines, however, is daunting unless system-based controls are implemented within the clinician's daily workflow, according to First Databank. For example, prescribed patient medication characteristics of dosage, long-acting formulations, day-supply dispensed, or additive side effect potential spanning active patient medications, can all be quantified as risk factors. FDB Opioid Risk Management Module provides information that enables calculation of the relative potency of opioid-containing medications, and the identification of additive side effects known as the "double threat" and "triple threat," to improve safety and regulatory compliance in opioid use for patients, said First Databank officials. The double threat is the concurrent use of opioids and benzodiazepines, and the triple threat is the double threat plus concurrent use of non-benzodiazepine sedative/hypnotics or muscle relaxants. 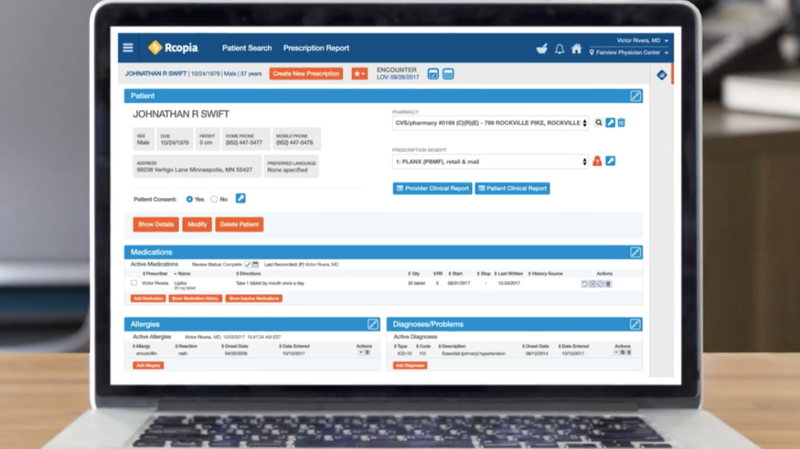 DrFirst's system, which includes First Databank drug knowledge, alerts providers of patients receiving several dispensed opioid prescriptions and identifies overlapping dispensed prescriptions of opioids and benzodiazepines. The system will identify patients who may benefit from closer monitoring, the reduction or tapering of opioids, the prescribing of naloxone, or other measures that reduce the risk of overdose. "FDB's opioid risk management drug knowledge will provide valuable data to the state of Nebraska in this effort to address opioid abuse before it becomes a crisis in that state," said Cameron Deemer, president of DrFirst. "The inclusion of complete prescription data in the PDMP database helps combat the abuse of opioids by giving providers and pharmacists a complete picture of a patient's medication history, allowing opioid use to be addressed in the overall context of the patient's care plan while also highlighting other patterns of abuse."